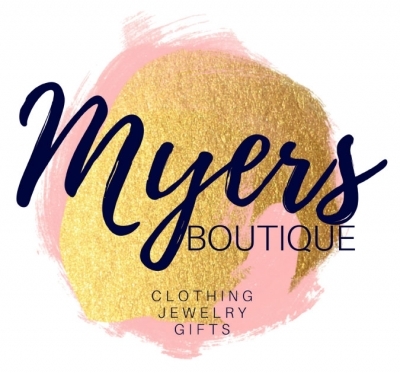 Handbags & Luggage :: Myers Drug - Medicine, nutrition, medical supplies, and gifts for over 76 years! 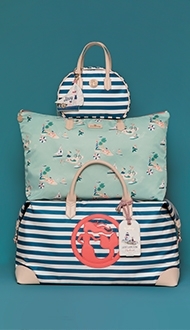 Baggallini is a worldwide leader in organized fashionable handbags, tote bags and travel accessories. 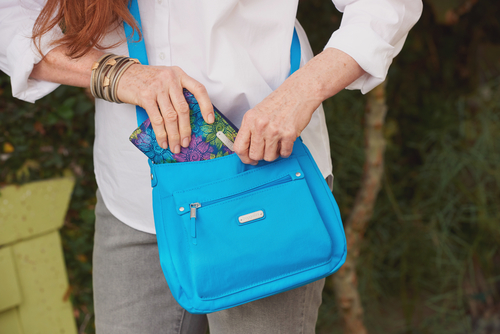 The Baggallini brand is known for distinctive color pallets, fun fabrics and lightweight products that are especially popular with those seeking functional and fun to carry tote, wallet, cosmetic and jewelry organizer bags. Spartina 449 takes pride in creating high quality handbags and accessories that are unique and reflective of the Daufuskie landscape and lowcountry color palette. 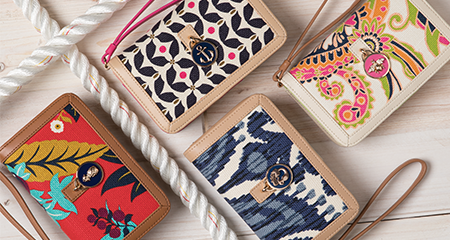 Made from natural materials, Spartina 449 bags are created using 100% linen fabric and genuine leather trim. The exterior fabric of these products are designed to be water and stain resistant. Clothing, Jewelty & Gifts that are fashion favorites and Hot, Hot, Hot!